For those of you who have been patiently waiting for the gum ball beads, It’s HERE! 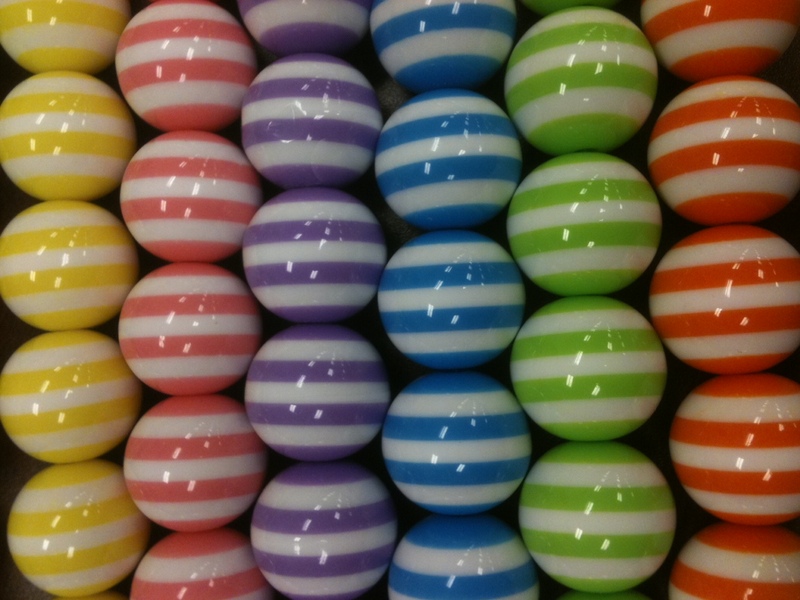 Here is a preview of the long awaited gum ball beads in 16mm and 20mm. There are 22 beads in the $3 16mm strand and 18 beads in the $4 20mm strands. They look good enough to eat! Hurry in before they are all gone! They will be online by this weekend.